Scott has been featured in The New York Times, Curbed, The Real Deal, Brick Underground, and The Wall Street Journal. Scott has also appeared on Bravo TV's Million Dollar Listing NY and Flipping Out. Scott is a proud supporter of Live Out Loud. Scott is honored to have been the very first agent recruited from Douglas Elliman to join Compass back in 2014. His talents combined with his passions for technology, data and improving the client experience were a perfect match for Compass and Scott has been instrumental in helping to grow the company into the market leader that it is today. An experienced million-dollar sales agent, Scott has the keen ability to price homes in order to achieve maximum resale value – as evidenced by his record-breaking sales at 305 West 16th Street and 212 East 47th Street. His deep understanding of the negotiation process and finesse with high-stakes transactions have made him an invaluable asset to his clients, which include leaders in finance, entertainment and some of the city’s most successful young entrepreneurs. Scott also specializes in assisting first-time buyers and investors throughout Manhattan and Brooklyn, with a focus on properties poised for long-term growth in emerging neighborhoods. Born and raised in New York City and a graduate of Northwestern University, Scott has always been fueled by an incredibly strong work ethic and a knack for creative problem solving. 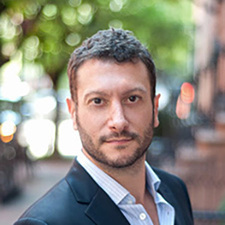 His expert advice is frequently quoted in the press, including the The New York Times, and he was the subject of a recent feature story on Curbed.com. In his free time, Scott loves to cook dinner parties for his friends and is a mentor to local LGBTQ Youth through Live Out Loud’s Role Model program.